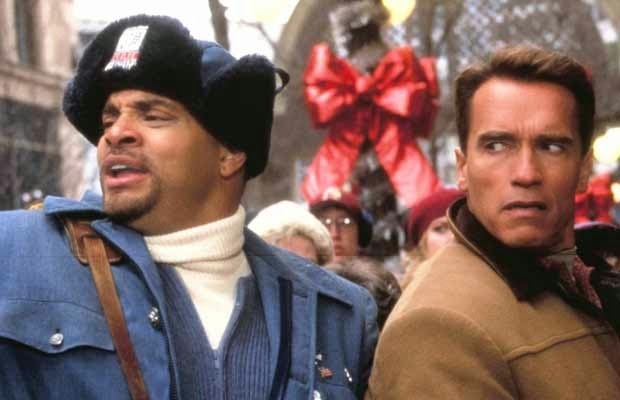 Not your typical heartwarming holiday tale, Jingle All the Way is an alternative Christmas classic that pokes fun at that most sacred value of the season: materialism. Surprisingly cynical for a family film, it’s a skewering of crass consumer culture (thanks to an uncredited rewrite by Home Alone director Chris Columbus) that includes bomb threats, brawling Santas, and a suburban lothario played by the late, great Phil Hartman. The bug-eyed, grunt-y performance of Arnold Schwarzenegger as a harried dad who’ll do anything to nab the perfect gift for his son is simply icing on the cake.